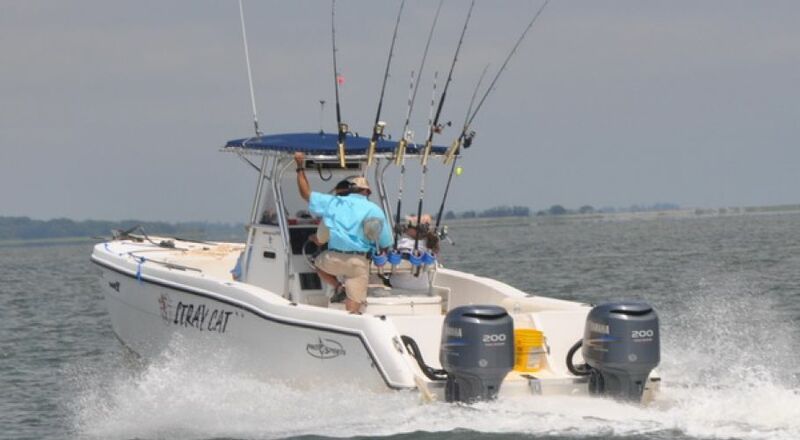 The Stray Cat is a 27-foot power catamaran certified to carry up to six passengers. 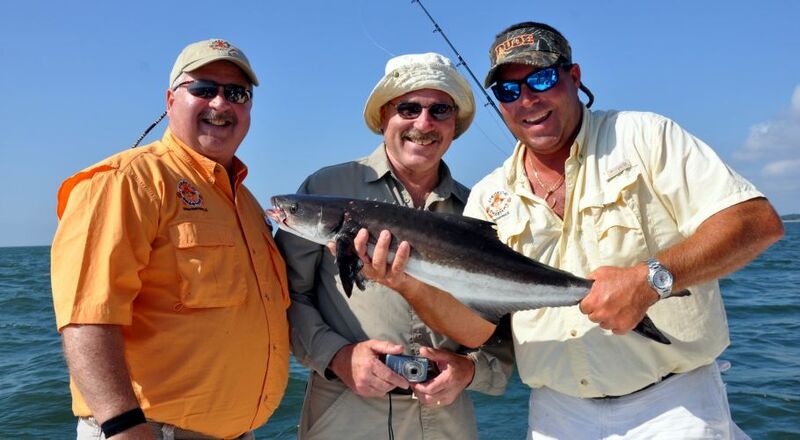 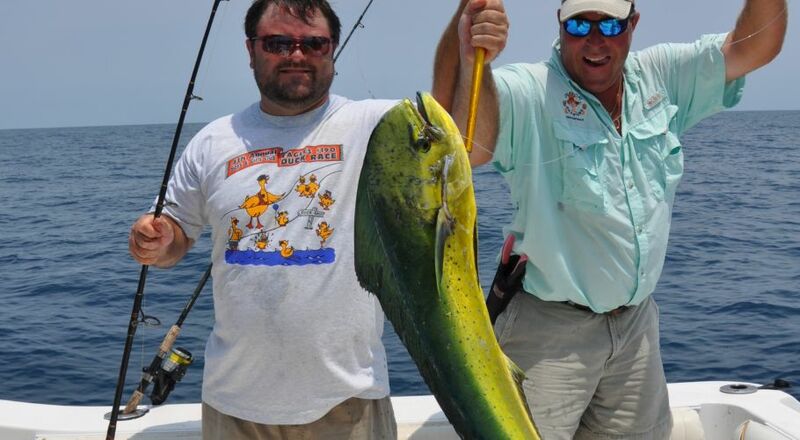 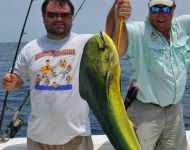 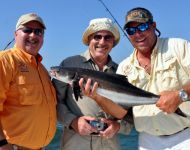 Its 9-1/2 foot beam allows plenty of room for comfortable fishing. 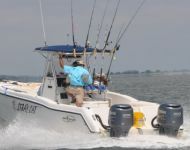 The console sports a generous V-berth and a full complement of fishing features. 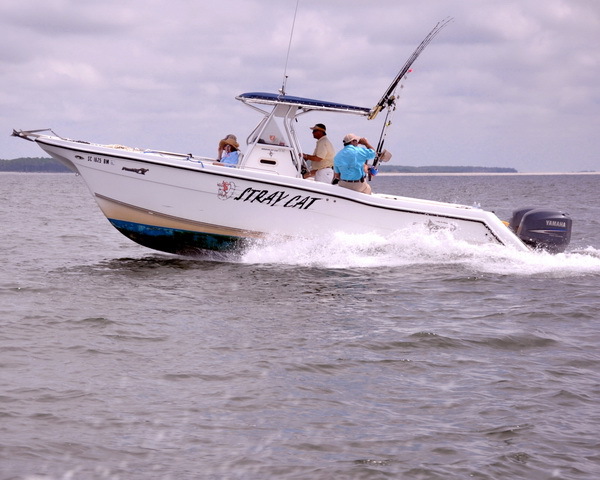 The twin hull runs great and rides smoothly in almost any situation. 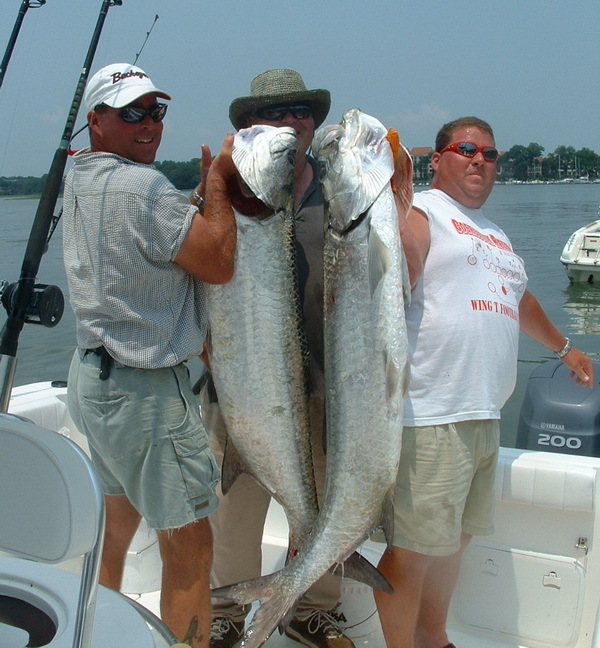 A pair of Yamaha 200 engines provides you with the best and most dependable power available.